Create a product that people need. Selling something for which the demand already exists is it. You shouldn’t have to convince buyers that they need it. They should know that they need it. For example, people already needs information about their needs such as health, wealth, fitness, jobs, business etc. Dip down each human needs and find that one thing people already are willing to know about. There is only one kind of product: High quality products. If the quality is questionable, then we call it a SCAM. We’re all in online/internet business for creating brands, making money and the fun. Selling good information products makes more money and it is more fun. You should sell yourself out of the market simply because you just want to make some money. Package quality information products that will always give you lots of credibility. Bad presentation is one of the biggest sale-busters in the world of information products. If it looks like an half-baked attempt at writing your own ebook, it won’t sell. No matter how good it is. Get a real logo and create a unique, powerful cover image. This really matters. If you need a place to start, go and learn more about graphic design services like photoshop et all. 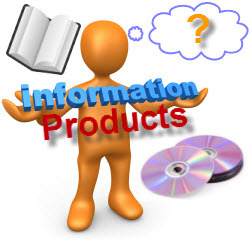 Information products are usually not very expensive, most cost $50 (N 8, 000) or less. So to build a reliable, long-term business through information products, you have to get your customers to come back for more. Keep this in mind when you create your information products and structure it so that follow-ups/upgrades/updates of the information products can be offered. Give quality products and your buyers will come back for more. Don’t lose your information product business all because you violated a trademark. Did you know that you can not always show a logo like that of Google in your information product without written consent? You should also run a trademark check on the title of your information product. What do people want? Find demand and supply it. 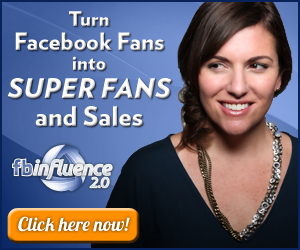 Just because you have the sales skills to sell ice cubes to Eskimos does not mean you have to. Think what you could do with your sales skills and ice cubes in Jamaica or in a very hot climate. Market research is boring, but it will make everything else easier, more fun and more profitable. You need to decide on the format of your proposed information product. Decide whether it is an e-book, or a report or a whitepaper or a e-zine or a newsletter. Once you decide, search for sample of your chosen format and develop your information product in that format. Now is the time to compile your knowledge into an attractive, easy-reading package. Look at as many examples as possible before you begin – learn from the mistakes and successes that are already out there. Think you can’t create anything valuable enough? We all have skills. No matter how unimportant or obvious they may seem to you, I’d bet there are people out there who could really benefit from what you know. It doesn’t matter if you’re into cooking or cloaking. There are people who need what you have in your head. Get it on paper and sell it. You won’t know if it’ll work if you don’t try. Go ahead and create yours NOW!